Hertford SC follows Swim England’s Child Protection & Equality (Equity) Policies & Code of Ethics. These are published by Swim England (ASA) in detail in their WAVEPOWER documents which can be found here. Hertford SC has a dedicated Welfare Officer responsible for ensuring Swim England Child Protection guidelines are implemented by Hertford SC and for attending to any problems affecting all our members’ welfare. 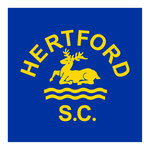 The Welfare Officer can be contacted on welfare@hertfordsc.co.uk. A summary of the Swim England Code of Ethics is given below. These policies are conveyed to our membership (staff, athletes & also athletes’ parents) by publicising Hertford SC’s Codes of Conduct to them when they or their family members join Hertford SC. These codes are publicised in the Club Rules, Policies and Codes’ section above. Hertford SC’s Equality (Equity) policy and Equality annual plan are given below.